Kim Jong-un has been pictured by North Korean media walking without a cane at an army meeting, following speculation about his health. The North Korean leadr was not seen in public for nearly six weeks before appearing at an event using a walking stick last month. South Korean intelligence said Kim Jong-un had surgery to remove an ankle cyst. Kim Jong-un’s health has been the subject of much rumor in recent years, with some saying he may be suffering from gout or hip problems. 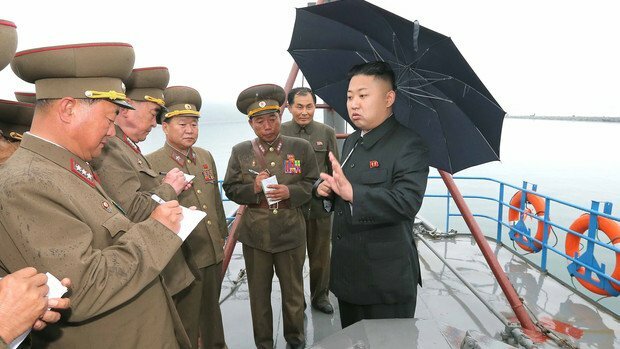 The latest pictures, which came out in newspaper Rodong Sinmun on November 5, show Kim Jong-un meeting with military commanders. North Korea agency KCNA said Kim Jong-un had attended the army meeting on November 3 and November 4 and posed with participants for photographs. He was accompanied by right-hand man Hwang Pyong-so and other top leaders. Kim Jong-un missed a key political event in October – the anniversary of his ruling party. But South Korea said it believed he remained in control. South Korean intelligence later said that Kim Jong-un had developed a cyst on his left ankle in May, pinching a nerve and causing the ankle to swell. A team of European medical experts were said to have flown to Pyongyang in September or October to operate on Kim Jong-un’s left ankle and remove the cyst.